MODIFIED Crusher Corners™ allow you to customize the Crusher Corner with virtually any combination of features. 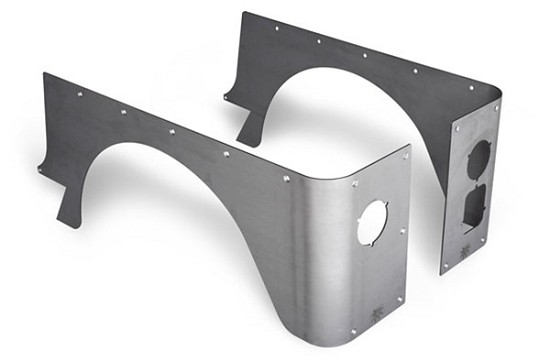 There is an additional charge for Modified Crusher Corners, as they are all custom-fabricated to your specifications. Choose from a variety of wheel opening sizes and placements (for stretched wheelbases), taillight styles, and to include or delete any other feature. ANY variation from the pre-configured Stock, Standard or Comp Cut™ versions is automatically considered a Modified version for ordering and pricing purposes. When ordering, please include your desired features in the comments section and we will contact you to verify the order. Please allow 2-4 weeks for delivery of Modified Crusher Corners™.